I have not been more than a couple of miles beyond Spitalfields for over a year, while my friends have been on Summer holidays to China, Malta, Venice, Croatia and France. So I decided it was time to take some time off, walked down to London Bridge Station and took the train to Broadstairs. I have always wanted to go there to see the Dickens House Museum and I was not disappointed because I had a personal tour narrated by the official guide – a lady of advanced years and very dimunitive stature, who more than made up what she lacked in height with charm and volubility. 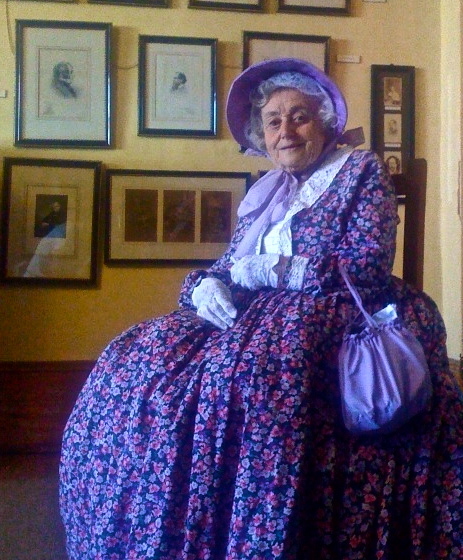 At the end of my tour, she asked if I had any questions, so I asked to photograph her and as you can see, she obliged. Then I turned north and walked along the coastline, following the edge of the white cliffs for miles until I reached Margate, childhood home of one of our most distinguished Spitalfields artists. After taking the photo below, I took the train back and returned to London, satisfied with my day out and arriving home in time for supper. I grew up at Margate – first date with my husband at the Dreamland ballroom – and married at Ramsgate, where Gran used to take me for an outing as a child. When I come home to England I invariably take a day to go back in time. Take the train from London to Ramsgate, walk down the old familiar streets to the harbour, buy jelly doughnuts and eclairs (you can’t get goodies like that over here, they’re nowhere near as good!) 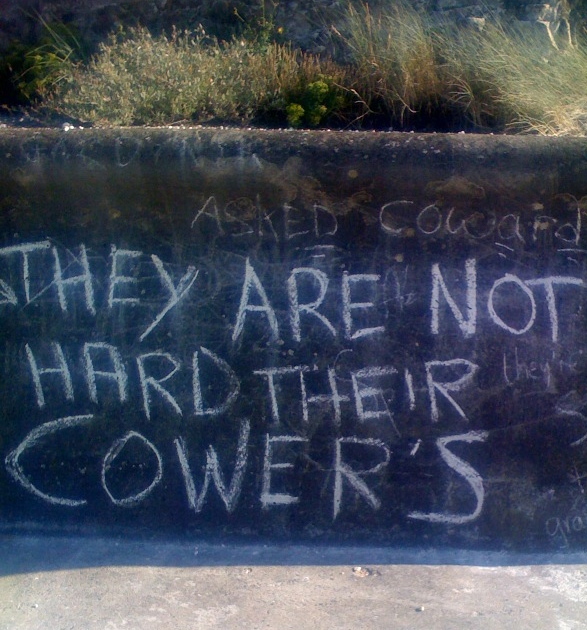 and savor them for lunch on the top of the bus on the way to Margate… Your article brought back many happy memories. Thank you! I love Broadstairs but not visited for years. A lovely old-fashioned seaside town.